You may be looking for tempting career advancement opportunities, but in truth you may be actually sabotaging your chances of getting that promotion. And, to make matters worse, you may not even be aware you are doing this. You work hard and you are good at what you do. However, there are many reasons why you are not being promoted to a senior position. Instead, you are stuck in a lackluster job and you are feeling wasted and undervalued. Here are 4 things you can do right now to help you take advantage of any tempting career advancements. Whatever you do don’t become a threat to your boss. If your boss sees you as a threat he or she may resent any steps you take towards advancing your career. This may be out of your control as your boss knows how good you are, and doesn’t want you promoted into a more senior position than them. And, don’t forget your boss has had a hand in training you, and given you opportunities to grow and excel in your current position. They know your potential and know if you would be better at their job than they are. 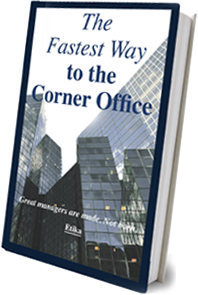 There are thousands of companies worldwide in which managers have taken over departments formerly run by their boss. This statement, don’t be too good at your job, isn’t suggesting you shouldn’t do your job well. What it means is that you shouldn’t be wholly responsible for your department’s success. If you are your boss isn’t going to want to part with you. If you are seen as the sole go-to person on your team, why would your boss want to spend the time and effort retraining someone else who is going to replace you, and do your job? What guarantee is there that they will be as good as you? Make sure that your career highlights are seen as part of your department. As they say, “there is no i in team!” It is recommended that you keep files and documents about your own career successes, it is important that your boss sees you as part of a team, not someone who is indispensable. That way they will be happy to help you further your career. Networking is all about finding the people you need to help you succeed. A good networker is someone who helps others succeed too. Your reputation is the one thing that will help you get that promotion you want and deserve. You may even share your résumé with others in business. You never know where it may take you. Don’t hide your achievements and hope that someone notices you. Allow your experience, knowledge and skills to speak for themselves. And, when roles do become available you’ll find you’re much more likely to be considered for the opportunity. 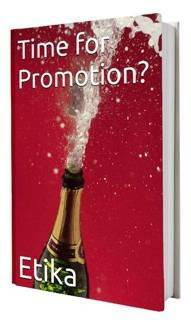 When you start in a new position always make sure that it is clear that you intend to be promoted. Some people don’t, and when they apply it takes their boss by surprise. Always make your intentions known, so that when a position arises your name will be raised for consideration. As well, keep an eye out for projects you can get involved with or even lead. 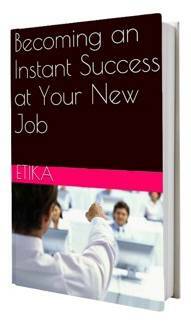 This will help you stand out and be seen by senior management and other departments. Look for opportunities to showcase your successes away from your department. Does your company have a newsletter you could feature in? Is there an industry magazine where you could feature what you do? What about your local newspapers or radio? Are there opportunities where you could showcase what you have achieved? After all, you never know who is listening and taking notes. Remember only you are responsible for your successful career advancement. You are the one who can make it happen by taking control of your situation, making yourself known to those in control, and building a solid reputation that mean you are a shoe-in for that next promotion.